HSU is part of a cooperative agreement with the California Ocean Protection Council led by UC Santa Cruz (Dr. Mark Carr) that involves UC Santa Barbara (Dr. Jenn Caselle) and Reef Check California (Dr. Jan Freiwald) in conducting statewide subtidal surveys. HSU will collaborate with Reef Check to conduct annual surveys of north coast subtidal reefs and kelp forests in Mendocino, Humboldt and Del Norte counties. We will use SCUBA to measure the physical characteristics of rocky reefs and the relative abundance and sizes of many fishes, mobile and sessile invertebrates and algae at each site. The lead HSU principal investigators are Drs. Brian Tissot and Sean Craig and the student survey team is lead by graduate student Chris Teague. The project team includes Dive Safety Officer Rich Alvarez and Boat Safety Officer Steve Monk. Part of the statewide California Collaborative Fisheries Research Program, we work with charter captains, recreational anglers, and volunteers to monitor fish populations in and near Marine Protected Areas along the Northern California Coast. Principal Investigators for the project are Drs. Tim Mulligan (HSU), and Joe Tyburczy (CA Sea Grant); field work is led by graduate student technicians Ian Kelmartin and Jay Staton. The goal of the North Coast Marine Protected Area (MPA) Baseline Program is to establish benchmarks for measuring the performance of the region’s new “underwater parks,” known as marine protected areas, from both ecological and socioeconomic perspectives. The North Coast’s MPAs place restrictions on human activities, such as fishing, in about 13 percent of the region’s state waters and went into effect in December, 2012. 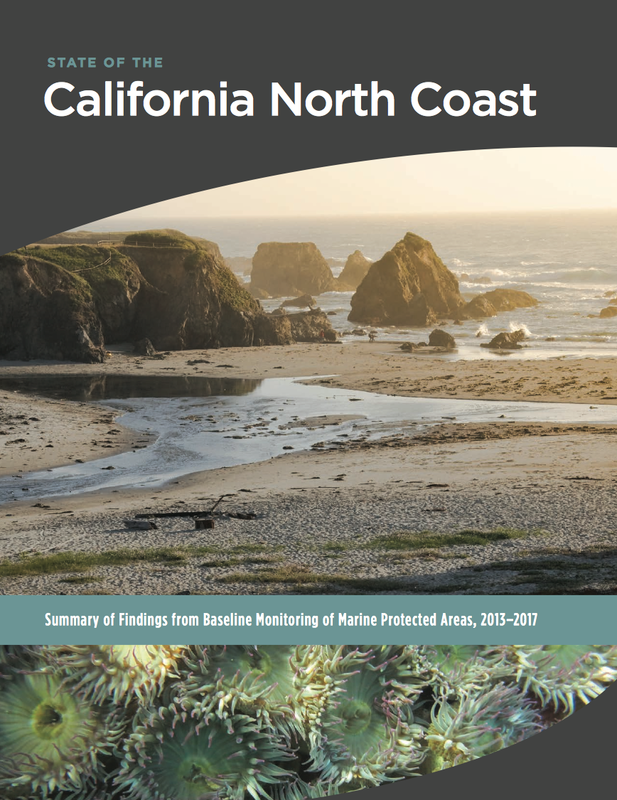 California Sea Grant helps administer the North Coast MPA Baseline Program collaboratively with the MPA Monitoring Enterprise (a program of the California Ocean Science Trust), the California Department of Fish and Wildlife, and the California Ocean Protection Council (which provides funding for the projects). The science grants will support the collection of ecological and socioeconomic information on beaches, reefs and other nearshore ecosystems along the state’s North Coast, which stretches from Alder Creek in Mendocino County north to the Oregon border. A broad collaboration of scientists, fishermen, tribal governments and citizen-science groups from 31 organizations will help gather the data.